Hemp seed nutrition benefits come from protein, magnesium, phosphorus, and other key minerals. Got hemp seed? Nutrition benefits from this worthy source of protein make it an ideal addition to your diet. 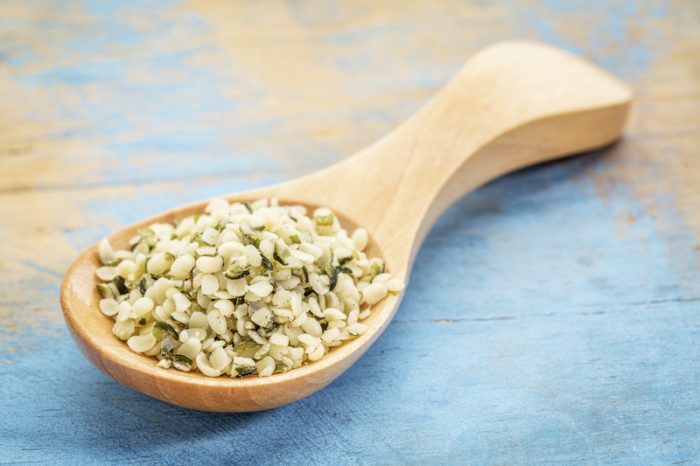 Beyond protein, hemp seeds contain a number of other nutrients that are an essential part of a healthy eating plan. Specifically, hemp seeds are rich in omega-3 fatty acids known as alpha-linolenic acid (ALA). Research has shown that ALA can help protect blood vessels from inflammatory damage. 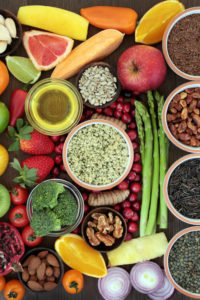 And, numerous studies have demonstrated that increased omega-3 fatty acid intake can help regulate blood pressure and help reduce blood pressure in people who have hypertension. Hemp seeds also provide gamma-linolenic acid, which is believed to have anti-inflammatory properties. Plus, they’re rich in the amino acid arginine, an ingredient necessary for the production of nitric oxide, which opens and relaxes blood vessels. 14 grams of monounsaturated fats (MUFA) and polyunsaturated fats (PUFA). Both MUFA and PUFA are associated with healthy cholesterol levels and lower risks of diabetes and heart disease. They’re also important for absorption of the fat-soluble vitamin A, vitamin D, vitamin E, and vitamin K.
210 milligrams of magnesium. Known to support bone formation, magnesium aids in vitamin D activation, helps metabolize carbohydrates and glucose, and helps prevent calcification in arteries. 495 milligrams of phosphorus. Phosphorus binds with calcium to form the building blocks of bones and teeth, supports growth and repair of cells and tissues, and is required for producing energy and regulating pH. 360 milligrams of potassium. Potassium helps control the electrical activity in the heart to maintain a regular heartbeat, aids in regulating sodium levels, is involved in the breakdown of carbohydrates, and is needed for muscle growth. 3 milligrams of niacin. Known to support healthy nerve function, niacin also aids in digestive health, helps convert food into energy, and improves circulation. It’s also needed for production of stress-related hormones. 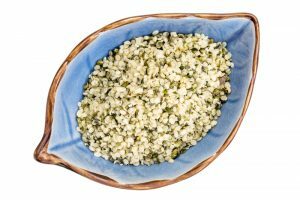 Since hemp seeds do contain fat, proper storage is important to prevent spoilage. Keep your seeds in a tightly sealed container in your refrigerator or freezer. Storing them in a warm pantry or kitchen can cause the fat to break down and go rancid, and it can deplete hemp seed nutrition content. If you’re concerned about hemp’s relation to marijuana, rest assured that you won’t “get high” if you consume hemp seeds. 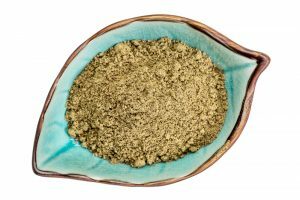 The plants from which hemp seeds are harvested are in the Cannabis family, but they’re a different variety than the plants that produce marijuana, and they have only a trace amount of THC, the substance in marijuana that causes a psychoactive effect. Stir hemp seeds into your oatmeal or yogurt. Blend hemp seeds with fruit, ice, and yogurt to make a healthy smoothie. Sprinkle hemp seeds over green salads. Add hemp seeds to burgers, meat loaf, casseroles, or any dish in which ground meat or poultry is used. add, alpha linolenic acid, alpha linolenic acid ala, anti inflammatory, blood pressure, bone, calcium, cartilage, cholesterol, cholesterol levels, diabetes, diet, digestive, digestive enzyme, digestive health, eye health, food, glucose, health, healthy bones, healthy cholesterol levels, healthy diet, healthy eating, healthy eating plan, heart disease, high protein foods, hypertension, immune system, magnesium, mufa, muscle, niacin, nutrients, nutrition, nutrition facts, omega 3, omega 3 fatty acids, potassium, protein, pufa, reduce blood pressure, skin, smoothie, stress, vitamin, vitamin a, vitamin d, vitamin e, vitamin k, wound healing, yogurt, zinc. We also enjoy seeds and nuts!